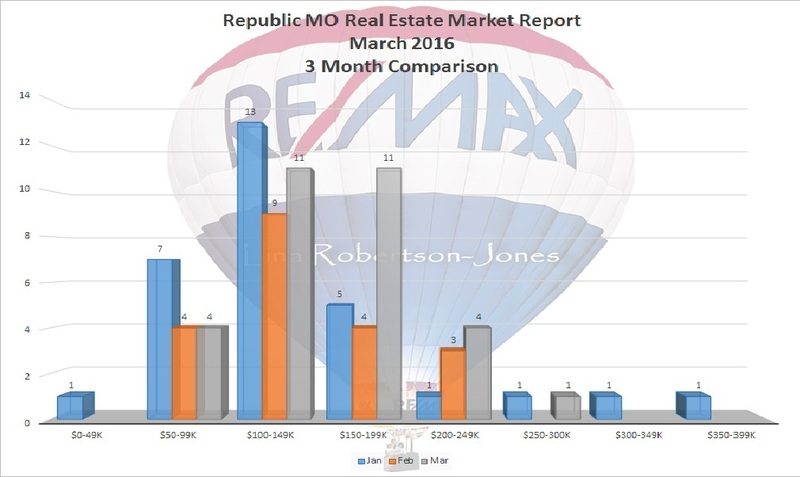 Below is the Republic MO Real Estate Market Report for March 2016. I have never seen such a healthy market for Republic. 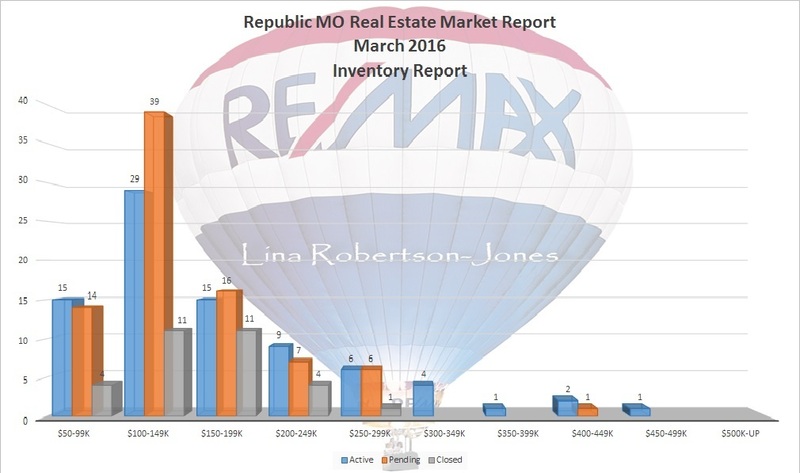 Pending home sales are up in every price range! 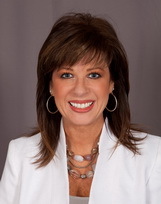 There are more homes under contract than for sale that are priced between $100-200,000. 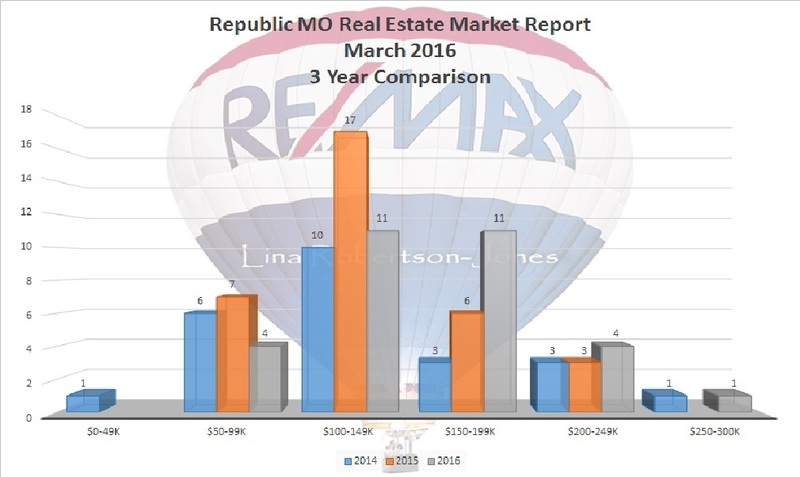 If you are considering selling your home in Republic, this is definitely the time to do it as it is a strong seller's market.